This very rural map shows the hamlet of Highwood Hill, in Hendon parish. A handful of large houses are shown, including Moatmount, Highwood House and Hendon Park, while at the foot of the map is the Plough Inn, along with St Mary's Abbey & St Margaret's Industrial School. Although a rural map, the essay by Jill Barber tells us how much of interest has happened here; William Wilberforce and Sir William Raffles are among notable residents. 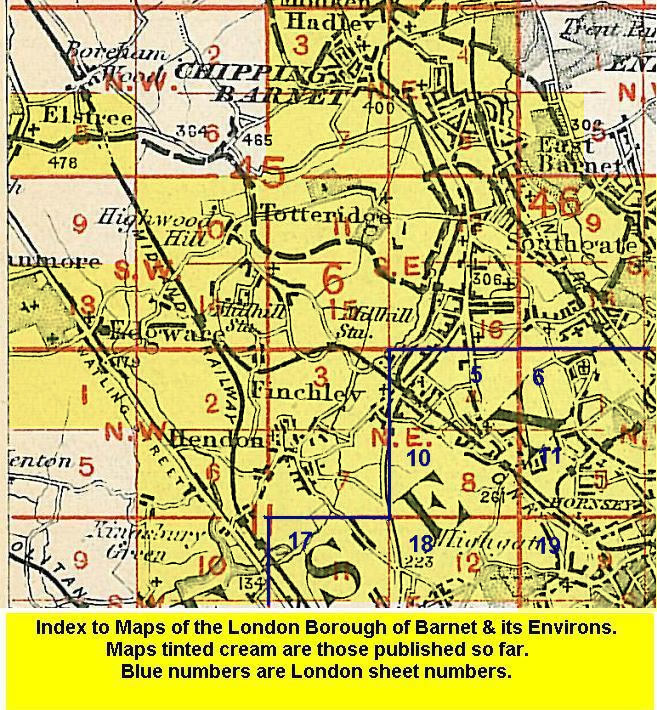 The map links up with Middlesex Sheets 6.07 Barnet Common to the north, 6.11 Totteridge to the east, 6.14 Mill Hill Broadway to the south.